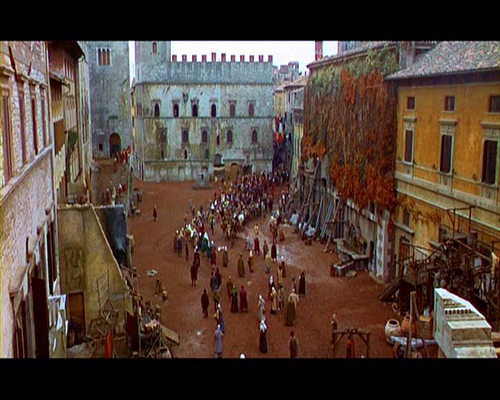 You probably don’t know, and can’t even imagine, that in 1965 Todi had been chosen as a set for a film directed by Carol Reed! 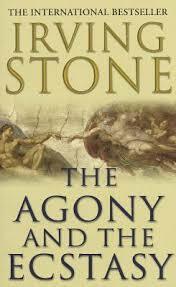 The film is “The Agony and the Ecstasy”: the movie is based on the novel by Irving Stone, depicting Michelangelo Buonarroti’s life while he was painting the ceiling of the Sistine Chapel. Irving Stone, an American writer, spent many years in Italy exploring places asspciated with Michelangelo in Florence, in Rome and in the Tuscan marble quarries. 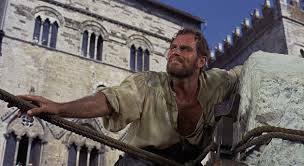 I had heard about this movie through the years: many of my fellow citizens spoke of the commotion created on those days when Piazza del Popolo was turned into a set, replicating St. Peter’s Square in Rome! Our duomo “acted” as the papal basilica during the period of its construction; moreover, fake fountains, stores, horses, and extras were put in Piazza Jacopone and all along the present Mazzini Street up to Piazza del Popolo. 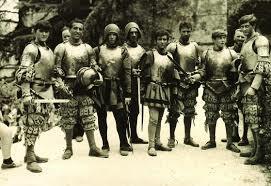 A huge amount of soil was scattered everywhere to cover the paved streets and squares. I can only imagine the excitement of a whole town’s having two super stars working and relaxing in Todi! 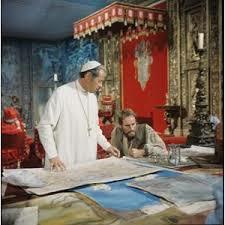 These two actors were Rex Harrison and Charlton Heston playing the roles of Pope Julius II and Michelangelo. Last summer, browsing in a big book shop, I found out the DVD of the movie and , obviously, I bought it immediately!!! 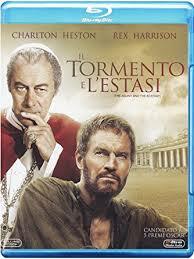 Using Todi as a set, this movie describes perfectly the struggle of a great artist’s heart, so gifted but also with enough strength of character to confront the severe “warrior pope” that was Julius II. Michelangelo considered himself a sculptor, not a painter; he didn’t want to paint, but was not able to ignore the Pope’s order to decorate the ceiling of the Sistine Chapel…this was his “agony” – the trouble of leaving behind sculpting, his true passion – but also his “ecstasy,” his joy in creating this stupendous work, the most famous fresco ever. You can buy the DVD on line, but I would stronlgly encourage you to read the novel as well: it describes the whole life of Michelangelo, from childhood to death, including his friendship with Lorenzo de Medici, his loves, and his despair…I absolutely devoured it!